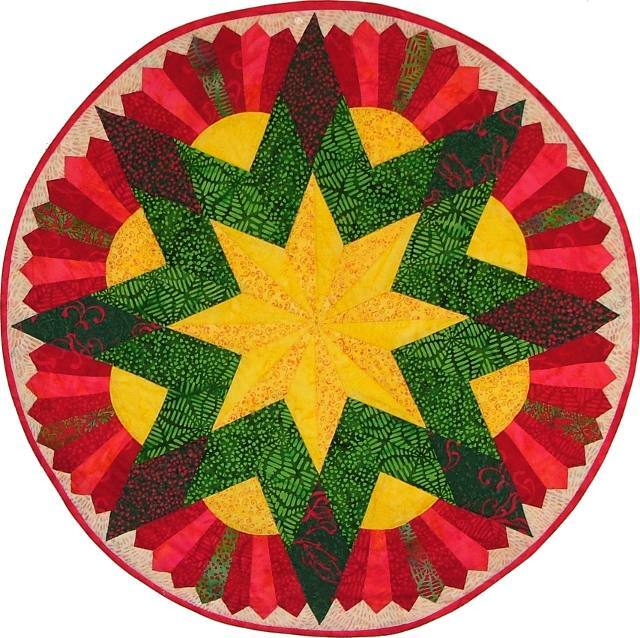 The round Christmas Star is 30" in diameter. It is created with the Celebrations batik collection by Bali Fabrics. It can be used as a table topper or the center of a larger quilt.